Tickets to this program include Museum admission. Follow the man behind the magic as he finds fame, engages in espionage, battles spiritualists and encounters the greatest names of the era, from U.S. presidents to Sir Arthur Conan Doyle and Grigori Rasputin. 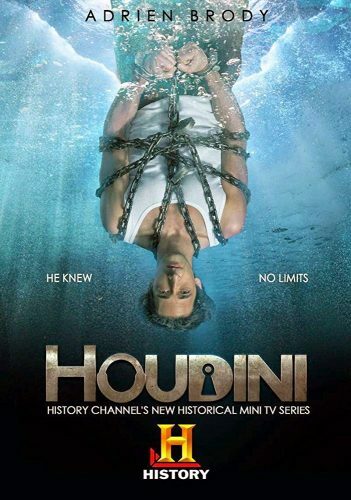 Houdini stars Adrien Brody, Kristen Connolly, and Evan Jones. This program is presented in relation to the Inescapable: The Life and Legacy of Harry Houdini exhibit, on display June 24, 2018 – January 21, 2019.